Sea-Eagles - 'the food they eat'. 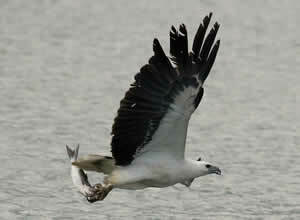 The White-bellied Sea-Eagle is carnivorous and opportunistic with its choice of food. 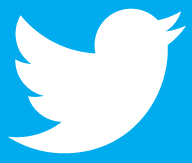 They will eat birds, reptiles, fish, mammals, crustaceans and carrion. Their hunting methods include hunting from exposed perch followed by a shallow decent and plunge dive when hunting for fish or eels. Or circling above a water body then into a steep dive and leveling out before the water to grasp the fish or eel from just below the surface. With broad powerful strokes of its wing it lifts effortlessly away from the surface of the water with its catch. 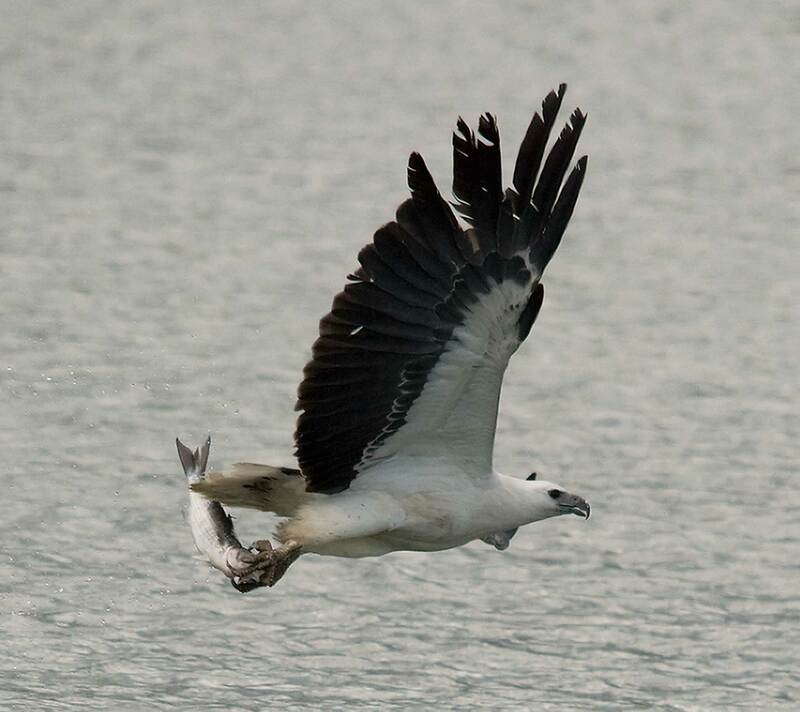 When catching fish, White-bellied Sea-Eagles only take them from the surface. 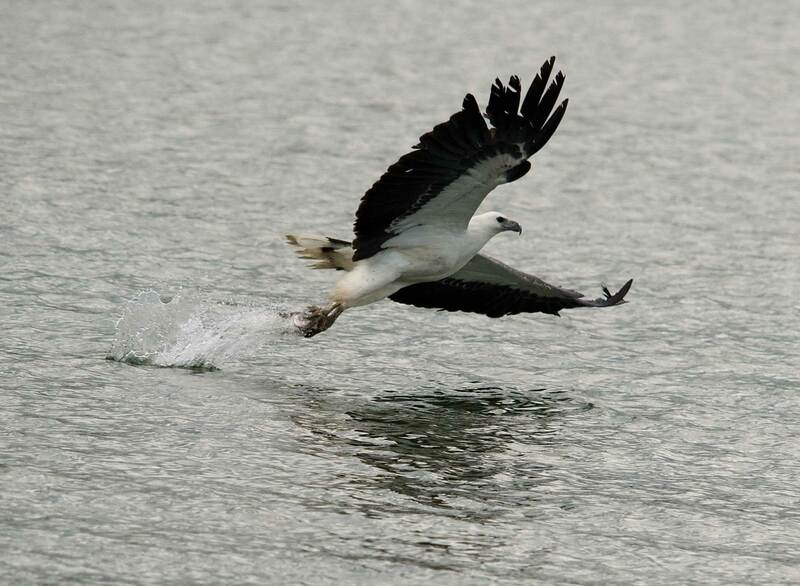 Unlike the osprey who after a swoop dive submerges its whole body into the water, the Sea-Eagle will only plunge their legs into the water barely getting their body wet. So the Sea-Eagles are only taking prey to a depth of about 150mm (5in). 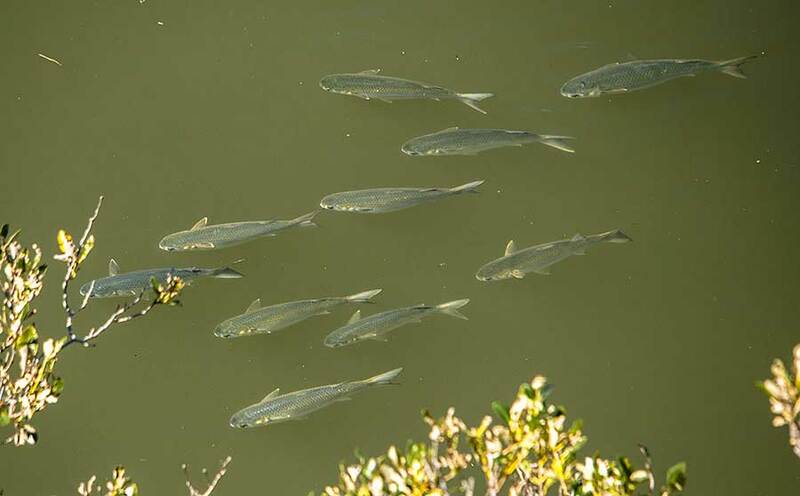 Mullet: There are a number of different mullet species living in the Parramatta River and surrounding bays, the study has not been completed with the identification of the mullet brought back to the nest. The most common mullet is the ‘Flat-Tail Mullet’ it lives in schools of hundreds of fish of a size from 50mm (2in) to 380mm (15in). They often swim on the surface and can be seen jumping clear of the surface. This is why the Sea-Eagles catch so many. 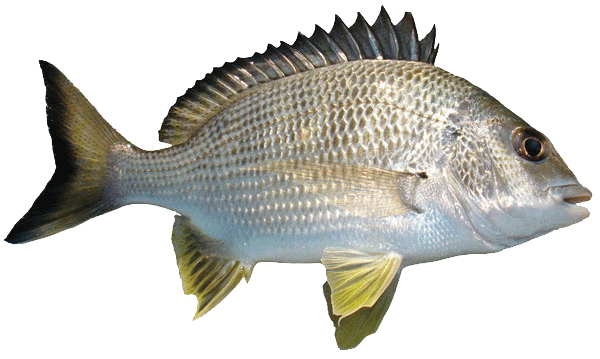 Bream: There are a number of different bream species living in the Parramatta River and surrounding bays, the study has not been completed with the identification of the bream brought back to the nest. The most common bream would be the ‘Southern Bream’ it generally lives deeper in the water but on occasions ventures into the shallows and this is where the Eagles would take advantage of this. They grow up to 533mm (21in). Black Fish: They are also known as 'Luderick', it is not a common fish delivered back to the nest but it has been recorded. They are a weed feeding fish and would not normally be swimming near the surface. They can grow upto 500mm (20in) but the fish seen on the nest were about half this size. Whiting: Also known as 'Sand Whiting' feeds over shallow sand banks giving ample opportunity for the Eagles to grab them for a quick meal. They can grow up to 500mm (20in) but the fish seen at the nest would be half this size. Flounder: a flat, bottom-dwelling fish generally found over sand bars so the Sea-Eagles must catch them when the Flounder move in over shallow water as the tide comes in. 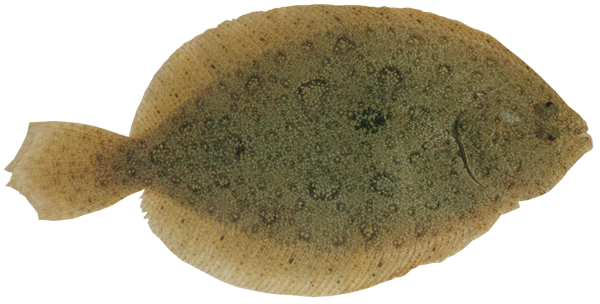 The Flounder that have been seen on the nest are only about 200mm (8in) long. They grow to about 350mm (14in) lomg. Leatherjacket: have a small mouth with beak-like teeth, rough sometimes sandpaper like skin, small gill openings, and a single serrated spine on the top of the head that fits neatly into a groove. They are around 1kg (2.2lb) in weight. 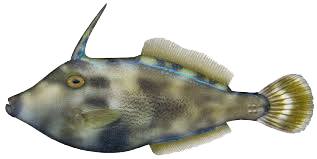 There are about 20 verities of Leatherjacket around Australia but the Yellow-finned is the more likely for Sydney Eagles to catch. 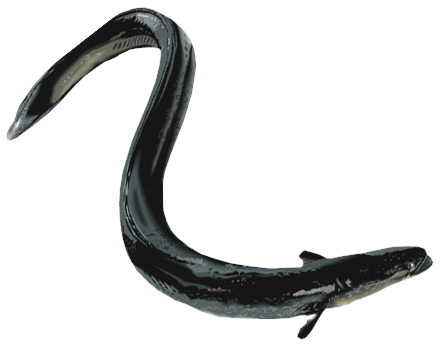 Eel: is a popular food especially when the fresh water wetlands get drained exposing the eels. The eels grow up to about 1.5m (5ft) long but the ones delivered to the nest would only be about half that size. 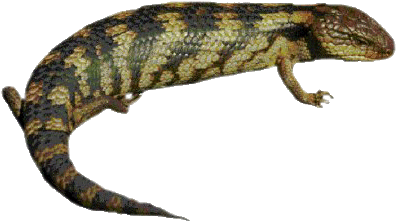 Eastern Blue-tongue Lizard: The Blue-tongue is a land-dwelling reptile, the Sea-Eagles would probably not hunt these on land but would pluck them from the water when one is washed into the river or falls in. They grow up to about 600mm (23in). 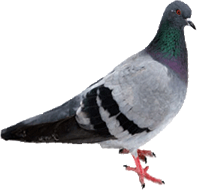 Feral Pigeon: very abundant in areas of Sydney, it is thought that the Sea-Eagles would attack the pigeons in the air, and if they were over water they would force them down into the water then swoop dive and grab them. 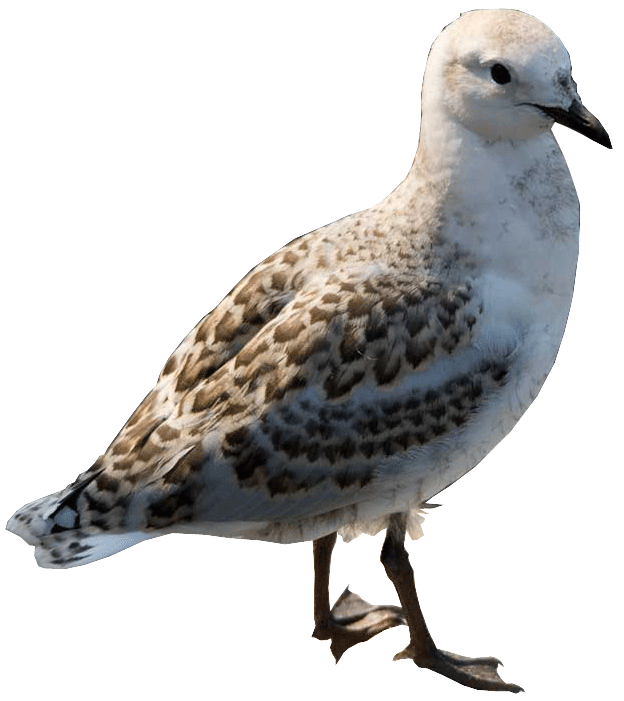 Silver Gull: There are two ship wrecks in Homebush Bay only 1 km (0.6 miles) from the nest where Silver Gulls (Sea Gull) make their nest and rear their young. When the Sea-Eagle chicks are about 6 weeks old the young Silver Gull is a favourite food for the adults to bring back to the nest. Grey-headed Flying Fox: the largest bat in Australia and is a mammal. They live in colonies of hundreds of individuals and at dusk they set off from their roost in great flocks looking for fruit trees to feed on. 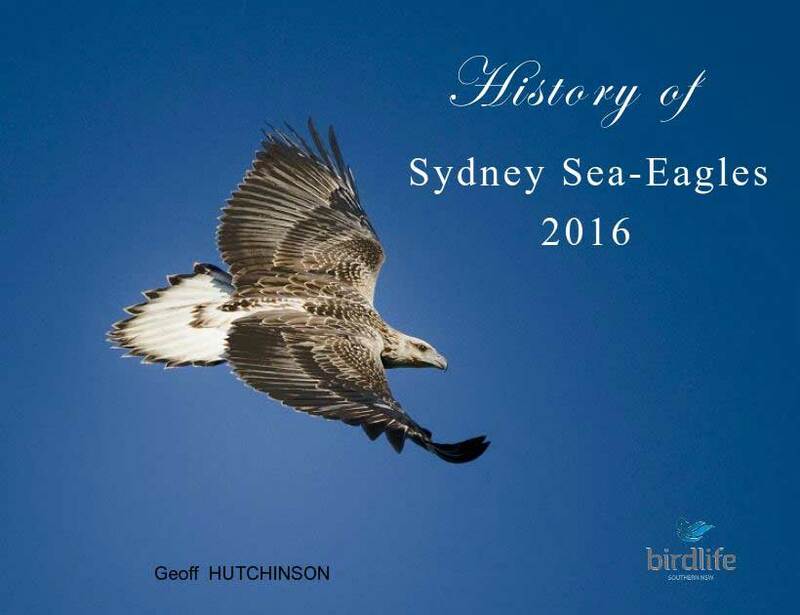 It is thought that this is when the Sea-Eagles would catch a Flying Fox in the air. 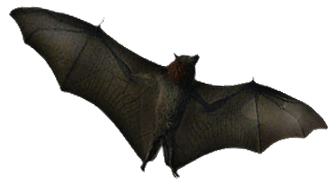 They have a wing span of about 1 metre (3ft) and weigh up to about 1kg (2.2lb).